Acid attacks worldwide are in the increase and one brave model who is actually an acid attack survivor is taking the campaign against acid attacks to a new level. 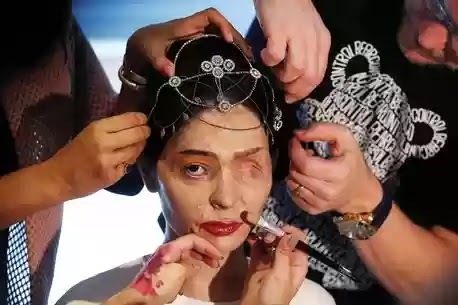 This brave 19 year old Indian model lost an eye in acid attack, but has returned to the catwalk to inspire others. This is the inspirational moment an Indian model left terribly scarred in an acid attack strutted down the runway at New York Fashion Week . Her confidence was simply inspirational. Courageous Reshma Quereshi, 19, walked down the catwalk to promote a ban on the sale of corrosive substances used to maim thousands of women and children each year. 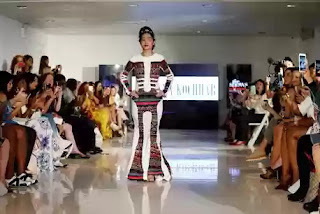 Reshma opened the FTL Moda show today to applause in a stunning long-sleeved, white gown with embroidered appliques by Indian designer Archana Kochhar during her first trip to the United States. Her presence gave the show a boost. The buzz and glamour of the event was a world away from Allahbad, India, where she suffered severe facial burns and lost an eye two years ago after being attacked with sulfuric acid by her estranged brother-in-law and two men.